Dialogue8 Blog - by Dialogue8 Creative Communication: Dialogue8 products available from Society6! Yep, great news indeed. We have finally put up shop at Society6. Now you can own your own piece of Dialogue8 magic, crafted by designer and illustrator Wiehan de Jager. 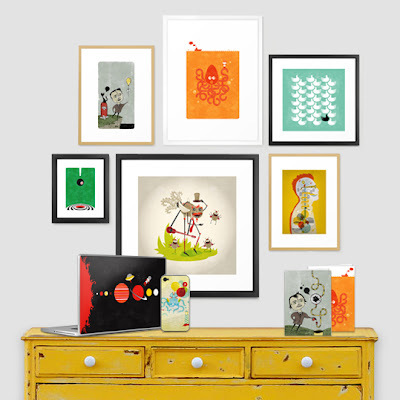 From art prints, printed canvas, iPad and laptop skins, iPod and iPhone cases, to greeting cards, t-shirts and hoodies! Whoo hoo! Go check our store out on the Dialogue8 page here. Happy online shopping!